The process of creating a good user experience is to begin with planning out a solid information architecture. The purpose for creating this architecture is to provide organization of a site and navigational flow. 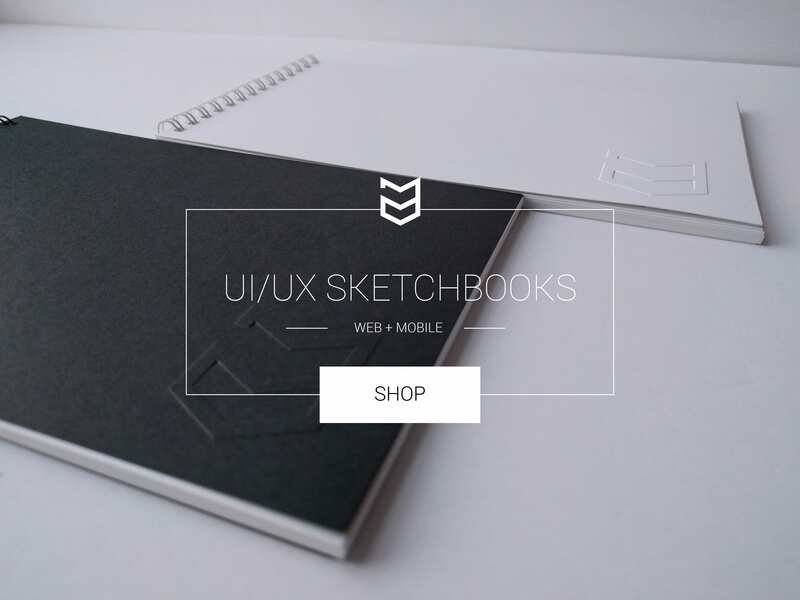 To create such order, a sitemap is required and created before the prototyping process. 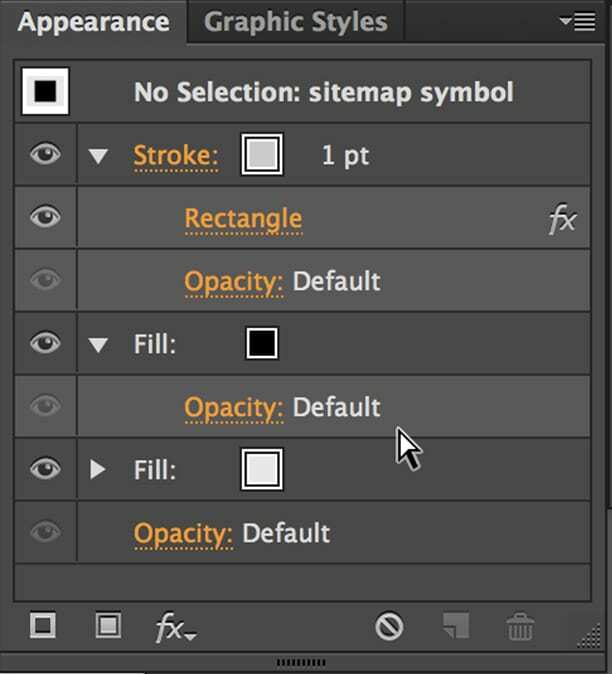 Simple sitemaps can be created using Adobe Illustrator by way of utilizing predefined shapes in the symbols panel and the text tool for labelling site pages. However, the task may become redundant, and time consuming especially when creating a large scale website or web application. 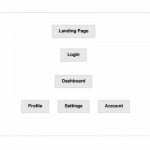 In this tutorial, I will explain how to utilize Illustrators Appearance panel and Graphic Styles to create dynamic page symbols to speed up the creation of a simple sitemap diagram. 1) Launch Illustrator and create a new file (CMD+N). Choose Web profile and select page size of 1024 x 768 (pixels, of course) and click OK.
2) Select the type tool (T) and click once on the artboard to create a point text object. Type the word Landing Page on the artboard. 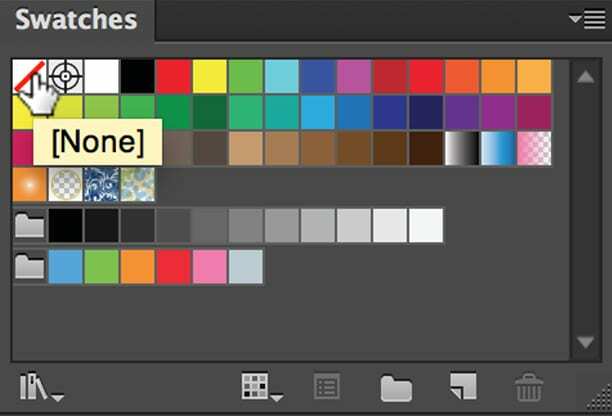 3) Remove the fill colour of the text by selecting the fill of none swatch in your control panel or Swatch panel. 4) Open the Appearance panel (Window > Appearence) and click on the add new fill button twice. The top fill colour in the stack will provide the text colour and the second fill colour will provide the colour for the converted rectangle. 5) Select the first fill colour and change it to black. Now, select the botton fill colour and change it to 20% black. With the bottom fill selected, choose Effect > Convert to Shape > Rectangle. 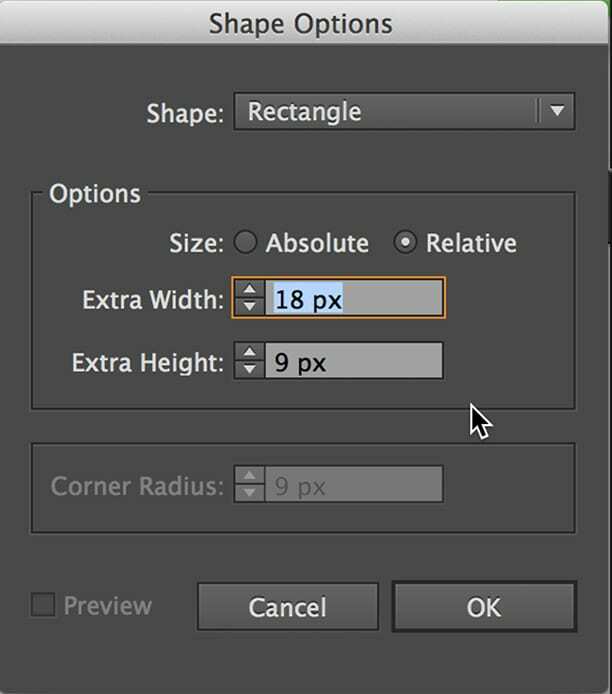 6) In the shape options dialog box, click on the preview option and choose Relative for the size and enter 18px for the width and 9px for the height. Then, click OK.
*Choosing Relative will allow the shape to automatically, resize to fit any text entered on the page symbol. 7) Click on the stroke layer in the appearance panel and choose 1px and change the colour to 40% black. With the stroke layer still selected, choose Effect > Convert to Shape > Rectangle and repeat the same settings as in step 6. 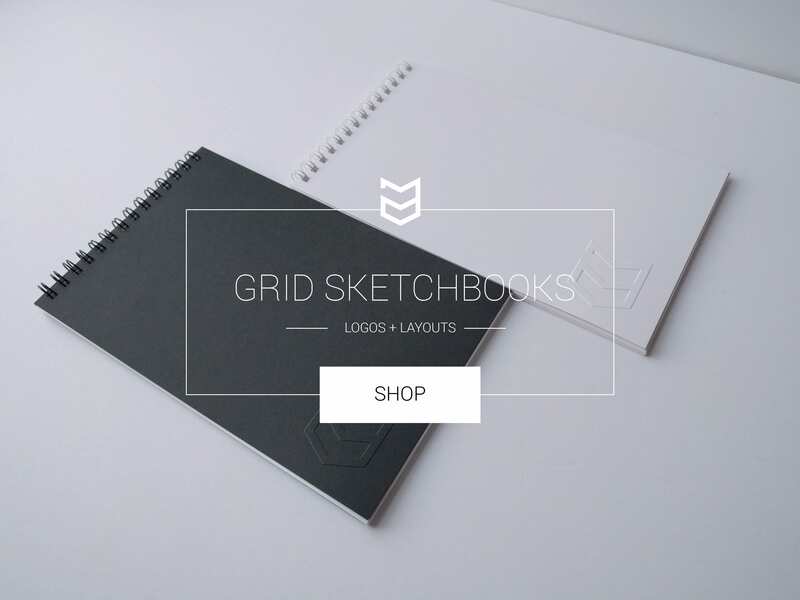 8) Now that you’ve setup the styling for your page symbol, open the Graphic Style panel and choose the new graphic style icon at the bottom of the panel. With the page symbol selected on the artboard, double-click on the new graphic style in the panel and rename it. You will now have a dynamic page symbol that will automatically style and resize to any text object you create. Try typing another page label with your type tool and then – with the text frame still selected – click on the new graphic style to apply the page symbol settings. You will now see the object resize to fit your sitemap’s page label.